San Francisco lawyer Steve Phillips was a Marxist-Leninist student activist in the 1980s, a supporter of the League of Revolutionary Struggle and a leader of its successor organization, the Unity Organizing Committee. 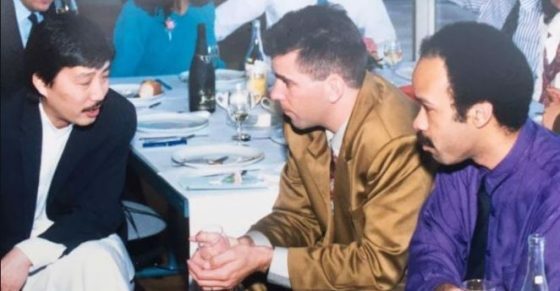 Student League of Revolutionary Struggle supporters Erich Nakano, Mike Schmitz and Steve Phillips socialize, circa late 1980s. Today he still works for a socialist America. Just at a much higher level. At the League of Revolutionary Struggle’s September 8, 1990 conference, a majority of delegates (including most of the Asian comrades) voted to abandon traditional Marxism-Leninism and devote themselves to electoral politics, especially the left wing of the Democratic Party. Maintaining control of the League’s Unity newspaper, this majority faction soon adopted the interim name Unity Organizing Committee. 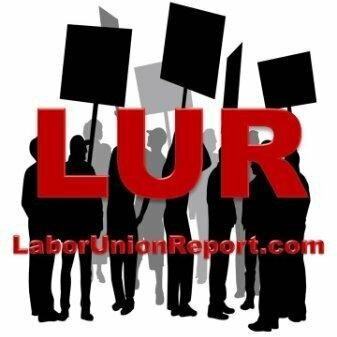 Signed by 153 activists, almost all former League of Revolutionary Struggle (LRS) members or supporters, the new organiztion hoped to become a major force on the US left, a force that would use the Democratic Party, where possible, to further its socialist goals. Several members of Unity Organizing Committee/Unity, already held influential positions in the Democratic Party, often through their positions in the Rainbow Coalition, the organization supporting the Rev. 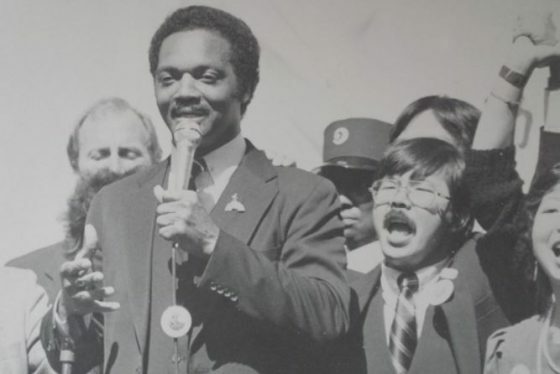 Jesse Jackson in his 1984 and 1988 presidential campaigns. Some were also involved in the campaign of Democratic Socialists of America member David Dinkins, who was elected to the New York mayoralty in 1990, on the coattails of the Rainbow Coalition. Several also became leaders of important civic institutions. Many became leaders in legal, labor, racial, cultural or educational activism. Many were alumni of Steve Phillps’ alma mater, Stanford University. Richard Adams is the State Chair of the Pennsylvania Rainbow Coalition and a former Pittsburgh School Board member. Keith Archuleta is a Stanford University activist and staff member. He was active in the Rainbow Coalition in 1984 and 1988. Jim Cason is on the Committee on Africa. He is currently the Associate Executive Secretary for Strategic Advocacy, the Legislative Director for Foreign Policy and is on the Friends Committee on National Legislation. Julius Davis is the President United States Student Association, Washington, DC. Pat Diaz is the President of the highly influential Mexican American Political Association, Los Angeles. Robyn Gabel is currently a Democratic member of the Illinois House of Representatives, representing the 18th District. Kim Geron is now an Associate Professor of Political Science at California State University East Bay and Vice President of the California Faculty Association. She serves on the boards of the Asian Pacific American Labor Alliance and the Chinese Progressive Association (San Francisco). Alexandro Gradilla is currently an associate professor of Chicana/o Studies and African American Studies at UC Fullerton. Roger Green is a Democratic New York state assemblyman, Brooklyn. 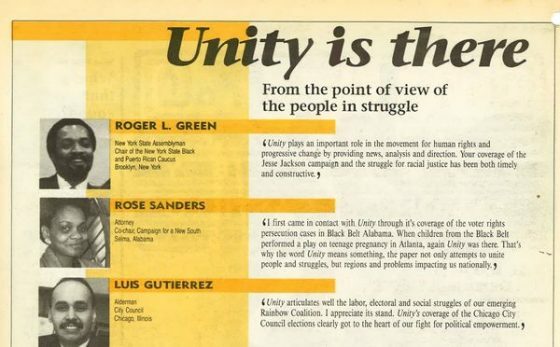 Green endorsed the LRS’ Unity newspaper in 1988, alongside long serving Illinois Democratic Congress-member Luis Gutierrez, a one time member of the House Intelligence Committee. Both were Rainbow Coalition activists. Colin Hampson is a Stanford University activist and belongs to the Stanford American Indian Organization. He is a lawyer for several major Indian tribal bodies in San Diego. Susan Hayase is a Stanford University activist, the Chair of the Nihonmachi Outreach Committee, San Jose, and was an active participant in the WW2 Japanese internment redress movement of the 1980s and a member of the National Coalition for Redress/Reparations. She was appointed to the Civil Liberties Public Education Fund board by President Clinton and served as its vice-chair from 1996 to 1998. Alex Hing belongs to the Asian Labor Resource Center, New York. He is a former League of Revolutionary Struggle member and currently board member Asian Pacific American Labor Alliance. Sasha Hohri is the contributing editor to LRS publication East Wind. She is a member of the Concerned Japanese Americans and the former co-chair of the East Coast Japanese Americans for Redress. In 1984, Sasha Hohri was a member of the New York Asians for Jesse Jackson and a Chinese Progressive Association (New York) activist. She was also the 1984 Chair of the Asian Desk for the Mondale-Ferraro campaign in New York. In 1990, New York Mayor David Dinkins established the 1990 Census Project to aid voter registration. The Project Director was Sasha Hohri, the Deputy Director was Democratic Socialists of America member Hulbert James. Hohri is a former officer at Ms. Foundation for Women. Mary Hoover is a professor of Black Studies, San Francisco State. She is the Founder of the National Association of Black Reading and Language Educators. She is also a board member of the National Council on Educating Black Children, the former Chairperson of the Education Task Force for the National Coalition for Black Reparations in America, a member of the Mayor Anthony Williams Transition Team Education Committee, a panelist for the Congressional Black Congress, Annual Legislative Conference, and a volunteer consultant for the District of Columbia Public Schools Superliteracy Project. David Kakashiba is the current District Two Representative to the Oakland Board of Education and the Executive Director of the East Bay Asian Youth Center. Amanda Kemp is a Stanford University activist and voter registration activist with the California Rainbow Coalition. She is the Founder and former Artistic Director at the Theatre for Transformation. Lee Kiburi is the Chair of the Malcolm X Coalition and the publicist for Kuntu Repertory Theater Pittsburgh. He is currently an education management professional in Pittsburgh. Mae Lee is the Executive Director of the Chinese Progressive Association (New York). She is also a board member of the New York Immigration Coalition. Suzanne Lee is the former president of the Chinese Progressive Association (Boston). She ran unsuccessfully for Boston City Council in 2013. Guillermo Linares is the President of the Community School Board 6, New York. He went on to become a Democratic member of the New York State Assembly, representing the 72nd Assembly District in Manhattan from 2015 to 2016, and previously represented the district from 2011 to 2013. He is a former New York City Council Member and a former New York City Commissioner of Immigrant Affairs under mayor Bloomberg. Linares also served on Mayor Dinkins’s Transition Team. Michael Liu is the Director of the Asian American Resource Workshop, Boston. He is currently a member of the Chinese Progressive Association (Boston) Steering Committee. Lydia Lowe is Co-Director of the Chinese Progressive Association (Boston). She is a former member of the League of Revolutionary Struggle. She is also a founding member of the Chinatown Master Plan Committee and the Immigrant Worker Center Collaborative. Lowe is a former Boston Rainbow Coalition activist. Mark Masaoka is currently a ?Policy Coordinator for the ?Asian Pacific Policy & Planning Council, Los Angeles. DeDe McClure, of the Rainbow Coalition, is the former president of the United Community Democratic Club, San Diego. She is the former president of the San Diego Chapter of the National Women’s Political Caucus. Jean McGuire is on the Boston School Committee. Deborah Moy is the Chair of the Asian/Pacific Caucus of the California Democratic Party, San Francisco. She is also a staffer of LRS Asian-American publication East Wind. Mike Murase is a former League of Revolutionary Struggle member. He is the Co-founder of the Little Tokyo People’s Rights Organization in Los Angeles and the Asian American Studies Center at UCLA. Murase is a former Rainbow Coalition Board member. 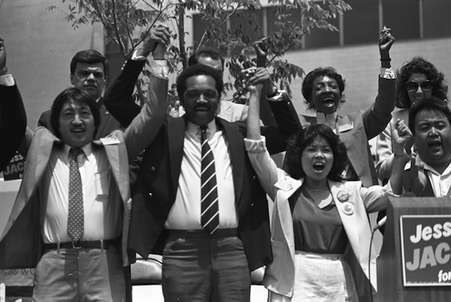 He was also Jesse Jackson’s 1984 deputy field coordinator and Asian American Coordinator (California). In 1988, Mike Murase was Jackson’s California campaign director. He is the former district director for Democratic Congresswoman Maxine Waters. 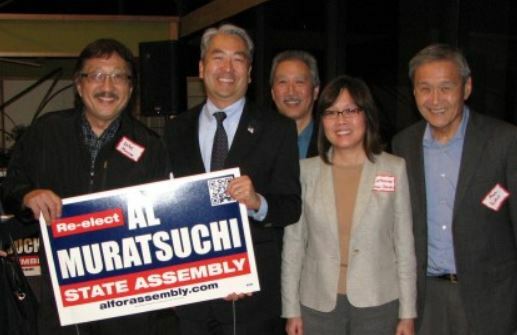 Murase was active in the 2014 re-election campaign of California Assembly-member Al Muratsuchi (D-Torrance). Bert Nakano is the National Spokesman for the National Coalition for Redress/Reparations. Mae Ngai is a former League of Revolutionary Struggle Central Committee member. She was active in Asian Americans for Dinkins and Jesse Jackson’s 1988 presidential campaign. Currently, she is Professor of Asian American Studies, Columbia University. Pedro Antonio Noguera is on the Berkeley School Board and is a former League of Revolutionary Struggle supporter. Currently, he is a professor in the Steinhardt School of Culture, Education and Human Development at New York University. He is also the Executive Director of the Metropolitan Center for Urban Education and the Co-Director of the Institute for the Study of Globalization and Education in Metropolitan Settings. Rosa Yolanda Pineda is President of the Community Association of Progressive Dominicans, New York. Stan Shikuma is a former Stanford University activist. He was active in the Rainbow Coalition in Seattle. Tracy Takano was the Chair of the Hawaii Rainbow Coalition. She now works in the organizing department of the International Longshore Workers Union. Sergio C. Tapia II is currently a judge in the Superior Court of Los Angeles County. He was appointed by Governor Jerry Brown, on December 5, 2013. Diane Tomoda is part of the Asian Pacific Partnership for Leadership and Education, Sacramento. She was a Jesse Jackson delegate at the 1988 Democratic National Convention. She worked for the late Democratic Congressman Robert Matsui and former California Governor Gray Davis. Tomoda was instrumental in the passage of HR 442, the Civil Liberties Act which resulted in redress for the internment of Japanese-American citizens during WW2. She is a former leader of the Japanese American Citizens League, Sacramento Chapter. Wanda White was the Economic Development Director to three Chicago mayors, Executive Director of the Community Workshop On Economic Development, founding board member of the Annenberg Challenge Grant process and is the architect of the Chicago Empowerment Zone process. Lyle (Butch) Wing is a former League of Revolutionary Struggle member. In 1984, he was the co-chair of Asian-Americans for Jesse Jackson (San Francisco) and in 1988, he was the Northern California field director of the Rainbow Coalition. Wing was also a Rainbow Coalition board member. Wing still works with Jesse Jackson today, pressuring Silicon Valley to hire more racially diverse staff members. Eddie Wong is a former editor for LRS’ Asian-American journal East Wind. He was the National Field Director of the 1988 Jesse Jackson for President campaign. Jackson said of Wong: “Some of those victories in caucus states, where it was said we could not win, the guy who engineered those victories and thought through the details of that organization and how to win those states was Eddie Wong.” He was later active in the Asian and Pacific Islander Leadership Council for presidential candidate Obama. Alicia Ybarra was a Stanford University MEChA activist. She was also a United States Student Association official. 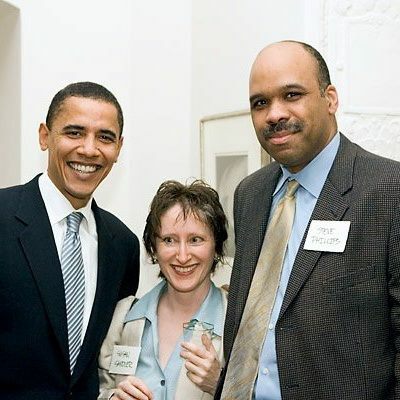 She is currently a board member of the Chicago based Alinskyite “community organizer” training school Midwest Academy. Jerry Yu is President Korean American Coalition, Los Angeles. Carmelita Gutierrez is a former League of Revolutionary Struggle member and a MEChA activist. She was also a 1988 Jesse Jackson delegate. She is currently the Administrative Assistant at South Bay Labor Council and Secretary Treasurer at Asian Pacific American Labor Alliance South Bay Chapter. Bruce Iwasaki is a lawyer. He was appointed to the Los Angeles County Superior Court by Governor Jerry Brown in 2012. He is also a former Nikkei for Civil Rights & Redress board of directors member. Adriana Martinez was Stanford University activist. She served as Associate Director of Economic Development for Los Angeles Mayor Antonio Villaraigosa, as well as Economic Policy Director for Mayor James Hahn. She also served as a Policy Adviser to Democratic Congresswoman Lucille Roybal-Allard. Erich Nakano was a Unity student editor. He is currently Deputy Director at Little Tokyo Service Center, Los Angeles. Nakano was active in the 2014 re-election campaign of California Assembly-member Al Muratsuchi (D-Torrance). Alan Nishio is the Chairperson on the Board of Governors Little Tokyo Service Center. He was active in the 2014 re-election campaign of California Assembly-member Al Muratsuchi (D-Torrance). Ex UnityOC activist Mike Murase left, Al Muratsuchi center left, ex UnityOC activist Erich Nakano center right, ex UnityOC activist Alan Nishio far right. Allison Porter is a recruitment officer for the AFL-CIO Organizing Institute. David Sandoval is a MEChA activist. He became Director of Equal Opportunities Program, Cal State Los Angeles. Like many political projects on the left, the Unity Organizing Committee started off well, but seems to have quickly run out of momentum. 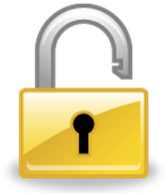 The group published Unity through 1992 and a couple of issues of a magazine of the same name in 1993-94. It then faded from view. Many ex-League of Revolutionary Struggle/Unity Organizing Committee members remain active in Democratic Party politics and broader leftist movements. 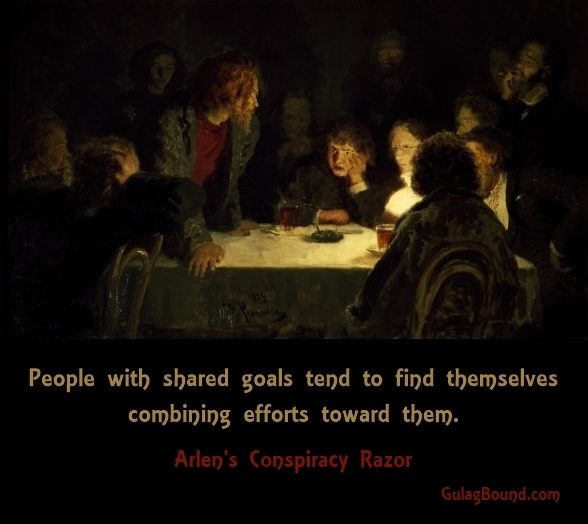 Many of them are still cooperating behind certain candidates or campaigns. The question is, is there still some form of centralized control or direction; some form of program to move the Democratic Party and the country further down the socialist road? In 1992, Unity organizing Committee leader Steve Phillips, by then a Bay Area lawyer, married his Stanford University girlfriend Susan Sandler. 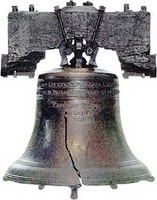 This marriage unified Phillips’ revolutionary zeal and strategic vision with one of the largest fortunes in America. Susan Sandler is the daughter of billionaire “progressives” Herb and the late Marion Sandler. In 1963, Marion and Herb Sandler bought Golden West Financial Corporation, a two-branch California savings and loan company, with a $3.8 million loan from Marion’s brother, businessman Bernard Osher. Golden West was sold in 2006 for $24 billion to Wachovia Bank. The Sandler’s approximate 10% shareholding in the company netted them around $2.4 billion. Of this amount, the Sandlers donated $1.3 billion to the Sandler Foundation. This money has finaced several major progressive organizations, such as the Center for American Progress and ProPublica. Some of it has also helped to give Steve Phillips the wherewithal and political influence to pursue his socialist dreams. 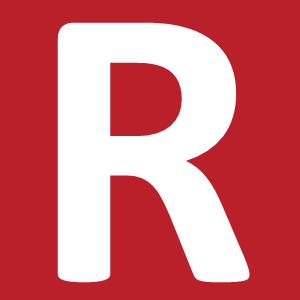 Working around a core of former Stanford University Maoists, League Revolutionary Struggle supporters and Unity Organizing Committee members, Steve Phillips has created a network that has infiltrated the highest levels of the Democratic Party. If this network is not exposed and countered, it stands a good chance, within the next few years, of permanently socializing the United States of America – without firing a shot.